AYSO Region 1344 has players and volunteers from Brisbane, South San Francisco, Daly City and San Francisco. We work hard to benefit all the children who want to play soccer. Everyone plays and everyone is a volunteer. We are a soccer organization with happy, healthy kids as our passion. We want everyone to play! 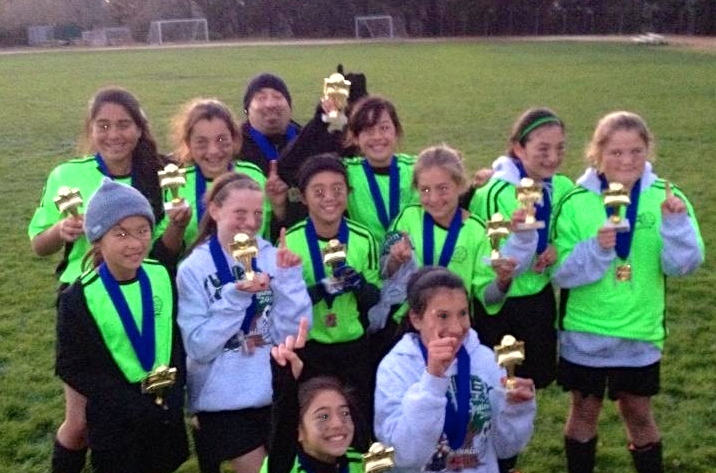 The U12 team did well in the section 2 tournament on December 14-15, 2013 in Foster City. GREAT JOB TEAM!